The “Skinny Tree” sees lots of wading bird occupants but this is the first time I’ve seen a potential nest builder check out the roof. In fact, the only bird I remember seeing perched on top was a King Fisher. This Great Egret took a moment to scan the sky as a low airplane passed by. 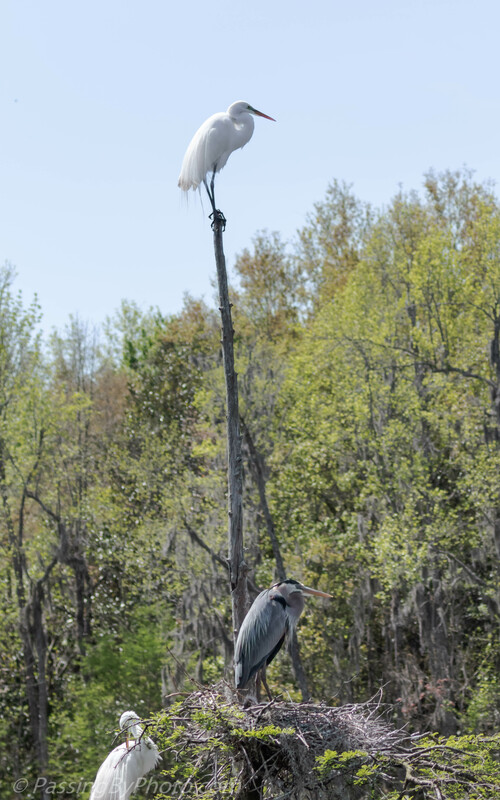 The Skinny Tree is only about 3 miles (5 KM) from Charleston International Airport and Joint Base Charleston so these birds get used to sharing the skies with all sorts of aircraft. I’m not sure how this next image might display on your various devices due to its height, but wanted to show the levels. 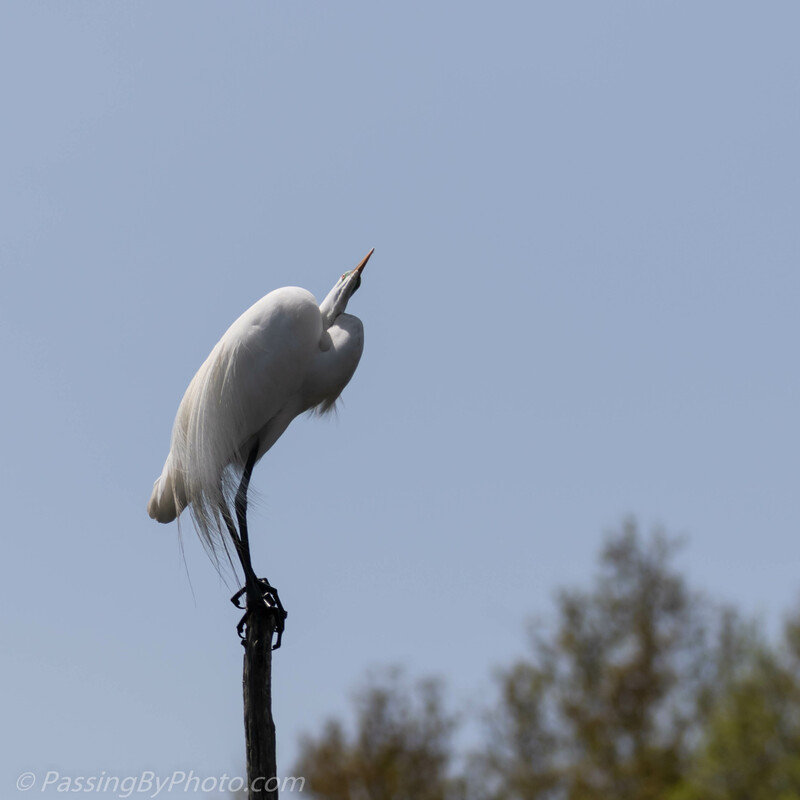 The Great Egret was really interested in occupying a nesting site in the trees branches, which are already occupied. In a broader and lower view I captured the Great Blue Heron driving a Great Egret away as he protected his chick, which can be seen next to the tree trunk behind the adult. 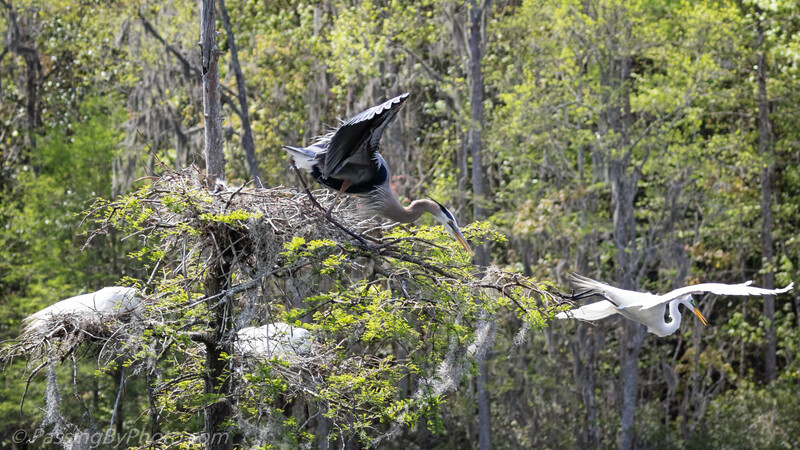 Occupied Skinny Tree, Great Blue Heron and two Great Egret nests – click image for larger view.